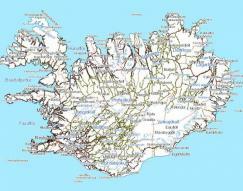 The National Land Survey of Iceland Landmælinga Íslands has published a new digital map. It is probably the best of Iceland that is currently available for free. 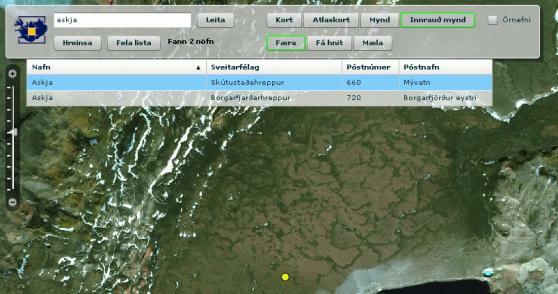 It shows all roads and trails, with GPS-points and a scale of 1:50.000. 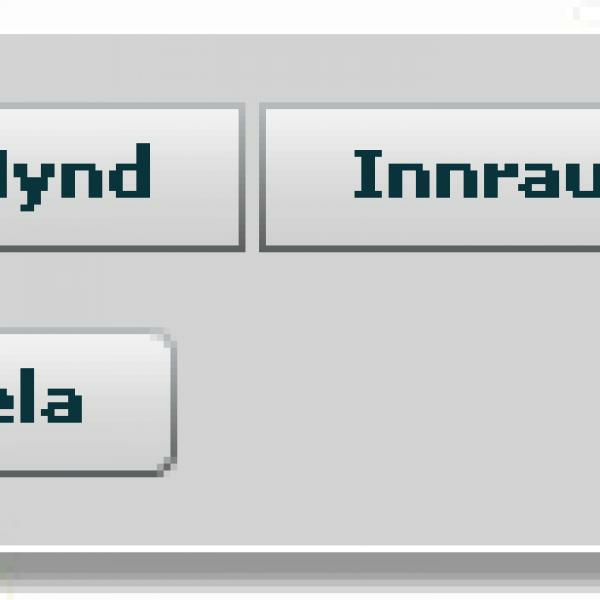 The mapdata are new and not to compare with the last version of the map IS 50 V. This was very old, was shown only in a small window on your screen and the loading time was very long. The new map comes with a scale of the 1:50.000-series, but you can zoom to 1:10.000. The new map offers extensive functions: detailed height lines, distance measurements, GPS points as well as other map functions like satellite admissions (from 2002-2007) or also a historical (scanned) road map in the scale of 1:100.000. You can also find villages, farms and places of interest. A first test show the result of "askja". 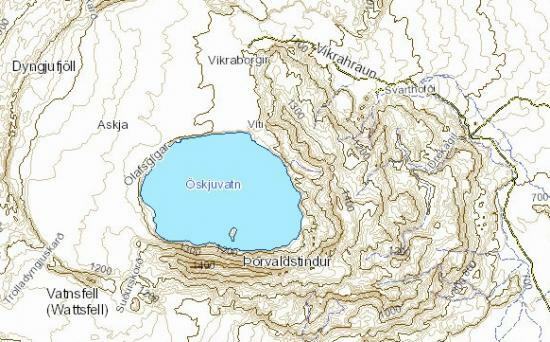 2 hits all over Iceland and you get directly to the Askja region, with a point close to the lake Öskjuvatn (you see the lake in parts on the bottom of the picture). The satellite pictures a quite good, nevertheless, not exactly as the maps of Ja.is. However, it´s better than the pictures of Google. With Ja.is in some cases you get better pictures, some so close that you can check out tracks. Örnefni: set a hook, if you like to see geographical informations on satellite pictures, too. You find the new map on the side of the land survey office, click here. Which icelandic roads are paved?